When will be I'm Dickens--He's Fenster next episode air date? Is I'm Dickens--He's Fenster renewed or cancelled? Where to countdown I'm Dickens--He's Fenster air dates? Is I'm Dickens--He's Fenster worth watching? 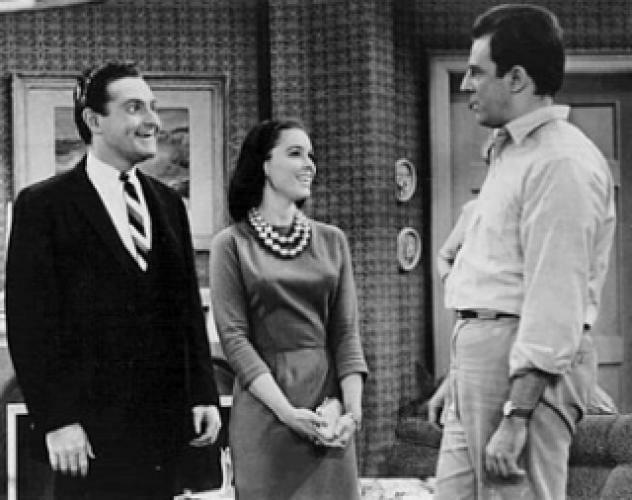 I'm Dickens--He's Fenster is a Sitcom that aired a total of 32 Black and White episodes. It was a slapstick comedy with Harry Dickens (John Astin) and Arch Fenster (Marty Ingels), two carpenters / construction workers who are constantly getting into dangerous situations on and off the job. Their boss, Mr. Bannister (Frank De Vol), is always on their case. Fenster is also well known for his little black book full of woman's phone numbers. Dickens is the henpecked married man, while Fenster is the worldly-wise bachelor. Harry Dickens wants to lead a more exciting life - which means spending more time with Arch - but his beautiful wife Kate (Emmaline Henry ) won't permit it. I'm Dickens--He's Fenster next episode air date provides TVMaze for you. EpisoDate.com is your TV show guide to Countdown I'm Dickens--He's Fenster Episode Air Dates and to stay in touch with I'm Dickens--He's Fenster next episode Air Date and your others favorite TV Shows. Add the shows you like to a "Watchlist" and let the site take it from there.